What Is a CDR File? A file with the .CDR file extension is most likely a CorelDRAW Image file, which is a vector image created by CorelDRAW to hold text, images, effects, shapes, etc., usually for the purpose of creating letters, envelopes, web pages, banners, and other documents. Other CDR files might be Macintosh DVD/CD Master files that hold folders and files in a single archive for the purpose of burning data to a disc, much like the ISO format you might be familiar with in Windows. The Raw Audio CD Data format uses the .CDR file extension too. These are ripped/copied music files taken from a CD. Yet another use for CDR files is as Crash Data Retrieval Data files. These are generated from sensors installed in vehicles that are using a Crash Data Retrieval (CDR) device. Since there are multiple file formats that utilize the .CDR file extension, you have to first understand which format your file is in before you can know which program can open it. If you know your CDR file is an image of some sort, chances are it's a CorelDRAW Image file. The same is true for the other three; if you're on a Mac, consider your file a DVD/CD Master file, or a Raw Audio CD Data file if you suspect that it's music. Files taken from a Crash Data Retrieval device are in that format. CDR is the main file format used with CorelDRAW software. They can be saved as templates if the same document layout needs to be used again, which is where the CDT format comes from. They may also be compressed and saved as CDX files. Some free programs that open these CDR image files include Inkscape and CDR Viewer. CDR files in this format are made with the built-in Disk Utility tool in macOS. Apple's Disk Utility or DiskImageMounter tool on a Mac are your best bets. Another option is HFSExplorer, which opens CDR files in Windows, Mac, and Linux. This program also supports similar file formats like DMG, ISO, IMG, SPARSEIMAGE, and SPARSEBUNDLE. These CDR files are similar to WAV and AIF files. Some programs save ripped music files to this format. These files are used with the Bosch Crash Data Retrieval System software. Given all the different uses for CDR files, there's a chance that yours is opening in a different program that you don't want to use the CDR file with. If you're on Windows, learn How to change the default program for a specific file extension to change the program that opens the CDR file. If you can't open your file with the programs mentioned here, check that you're reading the file extension correctly. You might actually be dealing with a CBR or CDA file (CD Audio Track Shortcut). CorelDRAW Image files in the CDR format can be converted to AI, PDF, JPG, EPS, TIFF, and other similar formats with Zamzar, a free online file converter. Just upload your file to that website and then choose one of the supported formats to save the CDR file to. Although the formatting may not match up well, you can use a CDR file in Photoshop by converting it to PSD with Convertio. That website lets you save the CDR file to a number of other file formats too. The ISO file can then be converted to DMG if you ultimately want to have the CDR file be a DMG image file. Saving a CDR file to a disc can be accomplished using the ImgBurn program mentioned above. Choose the Write image file to a disc option and then select the CDR file as the "Source" file. If a Crash Data Retrieval Data file can be saved to any other formats, it's most likely done with the software from above that can open it. Look for a File > Save as or Convert/Export menu. What's a PDI File and How Do You Open One? What's an ESD File and How Do You Open One? What's a CDDA File and How Do You Open One? What's a RAW File and How Do You Open One? What's an ECM File and How Do You Open One? What's an ERF File and How Do You Open One? 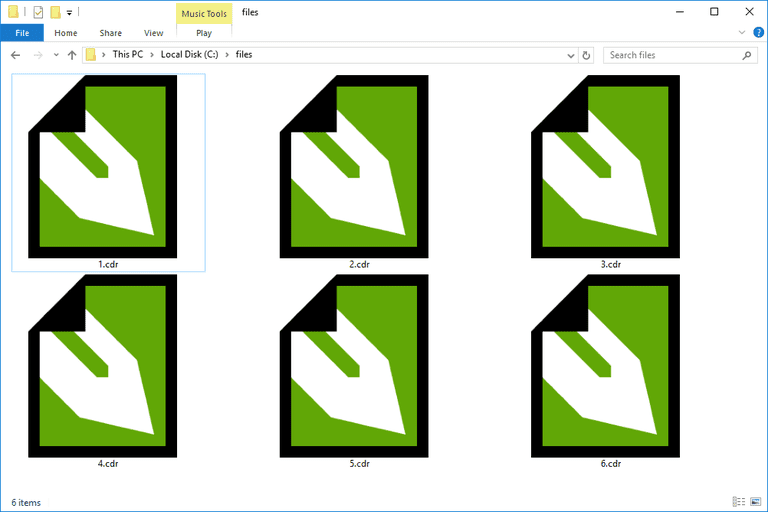 What's a TGA File and How Do You Open One? What's an ODT File and How Do You Open One? What's a PSP File and How Do You Open One? What's an MOGG File and How Do You Open One? What's an ARW File and How Do You Open One?